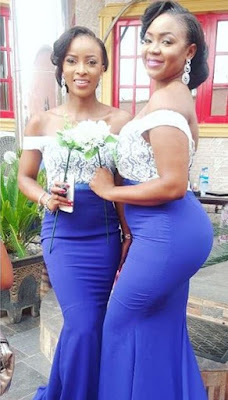 The pictures of the bridesmaid whose backside is HUGE, was spotted during a wedding which took place over the weekend and it has since been an item on the social media. 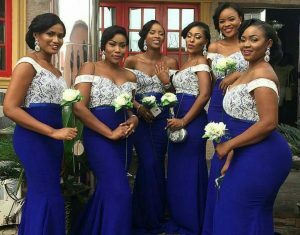 With her heavy backside, the unidentified lady was all smiles as she posed for the camera with other ladies on the bridal train as they celebrated their friend’s wedding. But unknown to her, has heavy duty at the back shot out from her behind, causing many people to start drooling over the lady’s assets. Flying first class is a downgrade! !